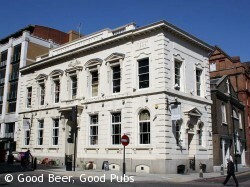 An attractive and welcoming pub located close to Aldgate East tube station. The building itself has some history being the site of the Eastern Dispensary from 1858 until 1940. The Eastern Dispensary was one of the first attempts to provide medical treatment for the poor of the area. The interior of the Dispensary has high ceilings and windows which give the pub a light spacious feel. There is a balcony seating area for those who are eating – accessed by a spiral staircase from the main bar area. Towards the southern end of the building there are a couple more enclosed areas which can be reserved. Out the back is a postage stamp sized patio – now the designated smoking area. During the sunnier months there are seats out on the pavement. Annie who runs the Dispensary is very proud of the quality of her beers and in 2009 the Dispensary won the City and East End CAMRA Pub of the Year award. 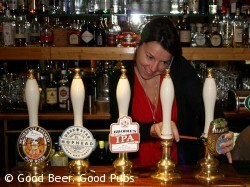 There are usually 3 or 4 real ales available – chosen from a varied selection. 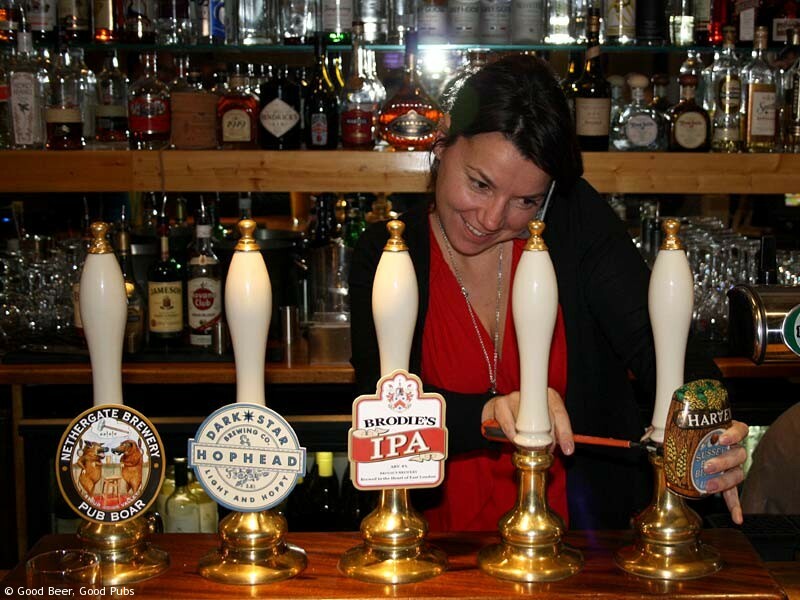 Annie often favours local beers from Brodie’s as well as others from Crouch Vale and Nethergate. In 2010 Nethergate brewed a beer specially for Annie – it’s called Florence NightingAle and is very apparently although I haven’t tried it. Food is available lunchtimes and evenings. Some might think the food is a bit pricey but it is good. At lunchtimes there are good pint and sandwich deals – just ask at the bar. See my post Aldgate Lunchtime Options No2 – The Dispensary for an earlier write up of a lunchtime experience at the Dispensary. The Dispensary is my favourite pub in this area.